This is the first in the paradise cove series. I really liked how fast paced it was and it had a great storyline. The characters and overall plot of the story was okay. I really enjoyed reading the story of the three sisters and Sean Flannigan and each of their unique backgrounds. They each brought something special to the story. This is my first audiobook by Cynthia Vail. While I think she did a wonderful job I wouldn't recommend this book as an audiobook. There was only one narrator and I felt like it was read more as a script. I felt there wasn't a whole lot of emotion put into the story. All the characters sounded a like so it was a little confusing on who was who. Overall, I really did like the story so I am giving it three stars and I'm currently listening to the second book "Hooked On You". So keep an eye out for my review next week of book 2 in the Paradise Cove Series. Hooked on You is the second book in the Paradise Cove Series and follows Taylor and Colt this time. This was also a fast paced book, the same as book one and I really liked that. However, I did have my doubts when I saw that the same narrator would be reading this story. I went ahead with listening to the book anyways, but I was still slightly disappointed. Overall, I still enjoyed the storyline and the characters and can't wait to start the third book. 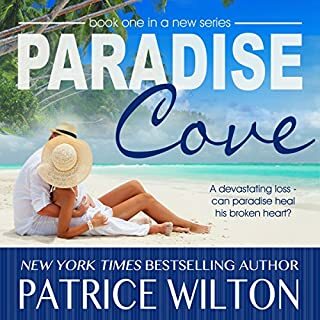 Brittany Holmes, heartbroken and pregnant, leaves the touring dance troupe and the glamorous life she led in Miami for home in Paradise Cove. Her mother and sisters are like a beacon at the end of the road, and their unconditional love and support is what her bruised heart craves. Ashley Jordon Chase, New York advertising exec, is in Paradise Cove to pursue his lifetime dream of being a playwright. Family circumstances thwarted his earlier writing ambitions and his lucrative career doesn't satisfy him. Wonderful romance in an idealic scene. 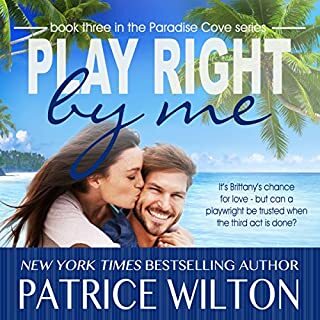 Play Right By Me is the third book in the Paradise Cove Series and tells the story of the youngest daughter Brittany and Chase. I'm not giving away any spoilers here but I do have to say I loved the Paradise Cove Series and Play Right By Me is amazing. The storyline and character's were played perfectly and Rita Page did a wonderful job with the narration. 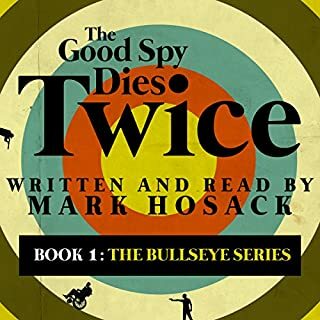 Hosack did an amazing job on “The Good Spy Dies Twice.” I couldn’t get enough and was up late listening every night until I was finished. The plot kept thickening and getting more intense and the characters were extremely well written and felt real to me. The audio was done very well with the deep tone of Hosack’s voice which made the story even that much better. Overall, I highly recommend this book. This has been one of the most interesting books I’ve read in a long time. At first I couldn’t quite get into it and had a hard time understanding what was going on. Might I add this is only my second audiobook that I’ve listened too. The way Sim laid out the back ground of the clock towers was quite fascinating to read. Timekeeper also had a budding romance going on at the same time, but it didn’t happen right away like most other books. This romance between Danny and Colton grew throughout the entire book in which I enjoyed. 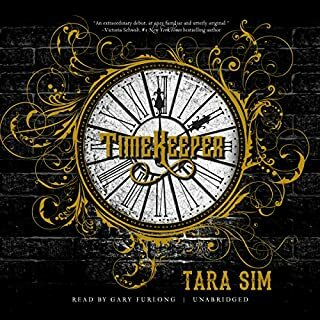 Timekeeper is a must read! Beacon news reporter Lindsey Fox is on the verge of breaking a huge story of political corruption that will make her career and make her famous journalist parents proud - or she could be thrown in jail and fired. It really could go either way. 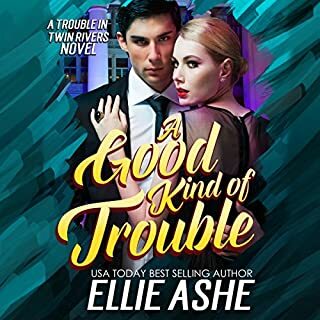 Her recent streak of bad luck continues when Lindsey finds herself facing a bogus contempt charge - and attorney Ben Gillespie is appointed to get her out of the slammer. They once had a bad date of epic proportions - stilted conversation, food poisoning, burglary, towed car. Then there was the incident with the pepper spray. This was my first audiobook and I absolutely loved it! I’ve had a couple friends that have been listening to them for the last couple years trying to get me to listen to one but I wouldn’t have it. Now I wish I would’ve listened to my friends! Denice Stradling did a wonderfully job at narrating the story and using different tones when needed. Unfortunately, she was the only narrator for the book so that was kind of a downfall on that. I was hoping to have a male for Bens part and a female for Lindsay’s part but besides that Denice did a great job distinguishing between each character. Overall, I really enjoyed this audiobook and I gave it five stars. The Cavanaugh House is a love story mixed with a little bit of mystery and some twists and turns in the middle. The main character, Jesse just came into town after a break up to a house that she inherited from her Aunt Helen. She ends up getting thrown into a mix of danger when she unearths some clues regarding her Aunts death. Amy did a wonderful job narrating Meyette’s story. She has such a smooth tender voice and was able to bring the characters to life. 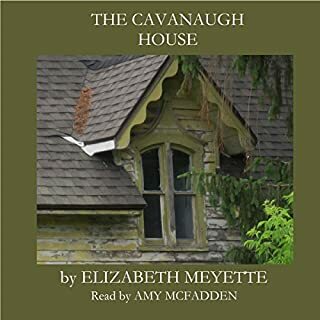 The Cavanaugh House was well written and was always keeping me guessing on who the murderer was and man was I wrong at the end. It was a surprise! I recommend this book to anyone who wants a quick easy listen and someone who loves mystery and a loves story.